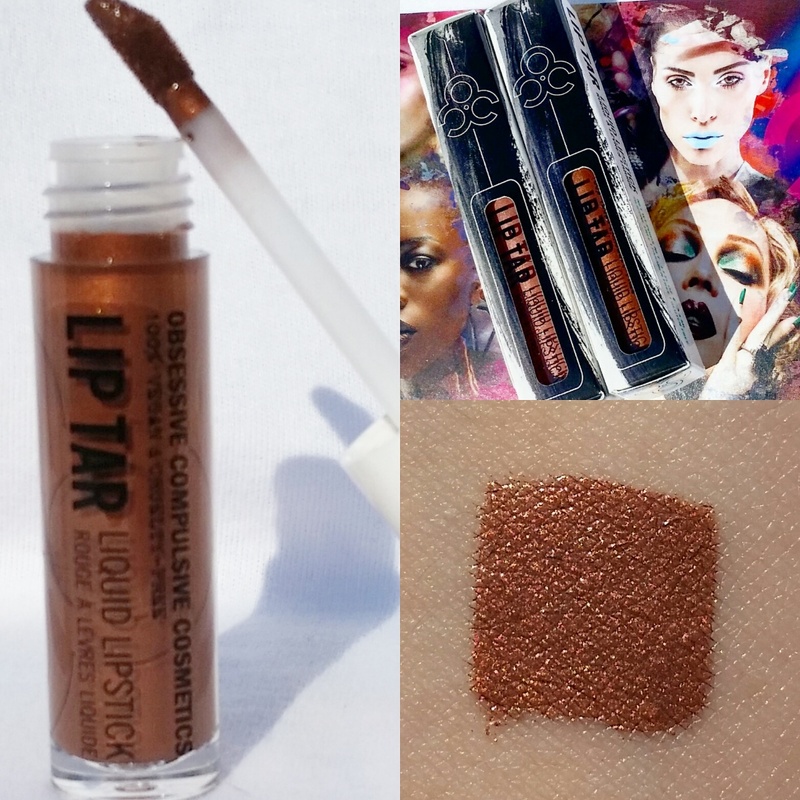 The Lip Tars from Obsessive Compulsive Cosmetics (OCC) are a type of liquid lipstick that comes in a variety of finishes and shades. They've been worn by many faces belonging to current and former contestants of Rupaul's Drag Race. For reviews and swatches of shades 'Synth' and 'Artifact,' then read this article. First, let me announce that I will be increasing my number of weekly posts to twice a week for the summer until I head back to school, so now I will be posting Friday and Saturday like I have been for the past couple weeks. And now it's time to get to the review and swatch part of this post. 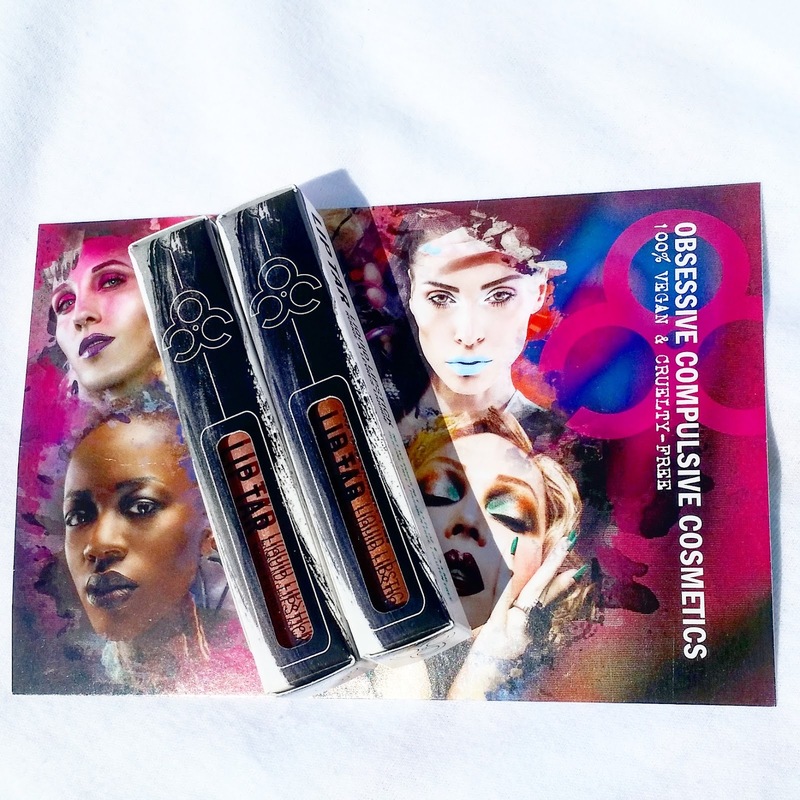 Today's product is the Lip Tars by Obsessive Compulsive Cosmetics (OCC), which is a vegan and cruelty-free brand, that I had gotten in shades Synth and Artifact. This particular brand I've heard about for the past few years and the reason why I know about it is because their products have been on the faces of some of the most notable drag queens from RuPaul's Drag Race such as the Supermodel Drag Queen, Miss Fame, and Willam Belli (who's actually one of the faces for that brand). The OCC Lip Tars are like liquid lipsticks that come in a variety of colors and finishes that you only need the smallest amount of product to apply to your lips. 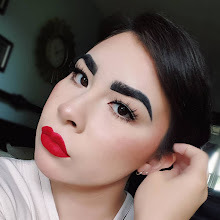 The formula is very moisturizing and comfortable on the lips because it contains hemp oil and vitamin E. One thing I want to put out there is that they do carry lip tars that are matte, but they don't dry down to the point that they don't move like a typical liquid matte lipstick would. These normally run retail for 16.00 USD, but I had gotten them on sale. This brand is carried in Sephora and Urban Outfitters, in addition to their main website. They also recently changed the packaging of their lip products last summer, so the Lip Tars now come in a plastic tube with a doe-foot applicator. Before, the Lip Tars used to be packaged in squeeze tubes that you would squeeze the product out and apply with a lip brush that came with it. 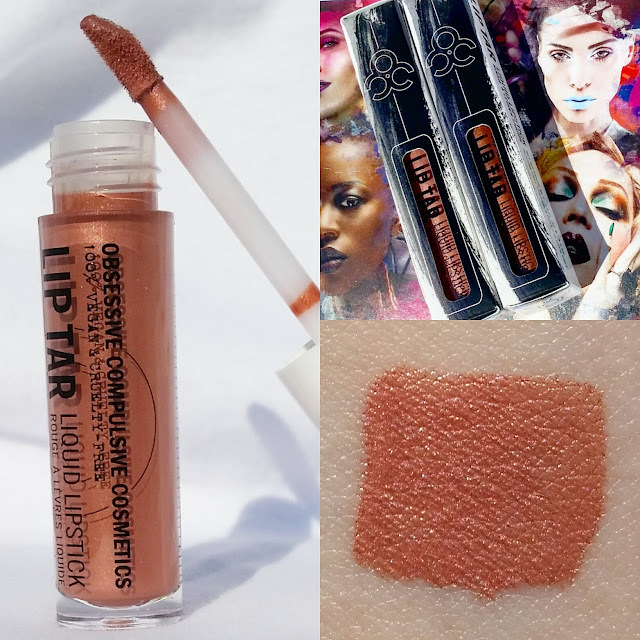 Why I'm mentioning this is because any and all remaining lip tars in that original packaging have been discounted to 5.00 USD on the OCC site, so hurry and get yourself one. From their most recent sale, I had bought two Lip Tars to swatch today, both of which have a metallic finish (go figure) because I really like metallic makeup. The first shade is Synth, which is a true rose gold shimmer shade. I'm not one for pink lips because it's my least favorite color and also I feel like people that have warm undertones can't pull off as many shades of pink as people with cool undertones can. However, because this is a rose-hued gold, this will look great on those with warm undertones so I really like this shade and I love how rosy it is. Also if you're pale like I am, it'll look super pretty. The second and last shade is Artifact, which is a bronze shade with a metallic copper pearl. I'm a sucker for a brown lip and a metallic lip, so when I saw this on sale I snatched it up real quick. This'll look great if you have warm undertones or have a darker complexion. It might be a bit much for some, but I like to pair bronze up with other metallic shades and do mixed metal looks. I would wear this on my lips and wear a gold eyeliner or have a very shimmery silver highlight. I'm one of those people that don't mind having a lot going on when it comes to makeup. And that's all I have for today, this is one of my favorite brands to grace the faces of some of my favorite drag queens. I would highly recommend grabbing one of their discounted Lip Tars to try out for yourself.